Kate Seear is an Associate Researcher in the SSAC program at NDRI and a Senior Lecturer in the Faculty of Law at Monash University. An Australian Research Council DECRA Fellow (2016-2018), Kate is also a practising solicitor, Co-Convenor of the Faculty’s Legal Practice Programs and the Academic Director of the Springvale Monash Legal Service. Her research is socio-legal and empirical in nature and typically explores connections between law, health, gender and the body. Her interests include the intersections between harm reduction and the law, and addiction and the law. Before commencing with Monash University, Kate was a Research Fellow in the Social Studies of Addiction Concepts program. Kate is the author of two books – Making Disease, Making Citizens: The politics of hepatitis C (with Professor Suzanne Fraser) and The Making of a Modern Epidemic: Endometriosis, Gender and Politics (Ashgate in 2014), which is based upon Kate’s PhD research. 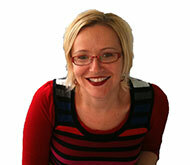 Kate has a unique multi-disciplinary background, with expertise in sociology, gender and the law. Kate has previously been a Lecturer and Research Fellow in Sociology and Gender Studies in the Faculty of Arts at Monash University and a Research Assistant in the National Centre in HIV Social Research at the University of New South Wales. Kate’s current research program focuses on the social and cultural aspects of addiction. Her DECRA is entitled ‘Addiction in the Australian legal system: A sociological analysis’. She is also a chief investigator on an ARC Discovery Project entitled ‘Understanding performance and image enhancing drug injecting in Australia (with SSAC colleagues Prof Suzanne Fraser and Prof David Moore). Kate is an invited reviewer and contributor to several international journals, and is an invited advisory committee member on a world-first ESRC-funded study into the impact of endometriosis on heterosexual couples living in the UK (Endopart). Kate is also the immediate past convenor of the health sociology thematic group within The Australian Sociological Association (TASA). For a full list of Kate’s publications, grants and projects, click here. Kate has expertise in a range of qualitative methods and welcomes supervision opportunities in addiction, drug use, the body, and health, including drug use/addiction and the law, and drug use/addiction and sport. Her main theoretical interests are in feminist theories of health, the body, agency and subjectivity, science and technology studies and the work of Michel Foucault.